This table consists of a solid mahogany top with a moulded edge, having two drawers at each end with a shaped frieze below. The table has turned leg supports, the two gates each having a nicely moulded arcade shaped top rail. 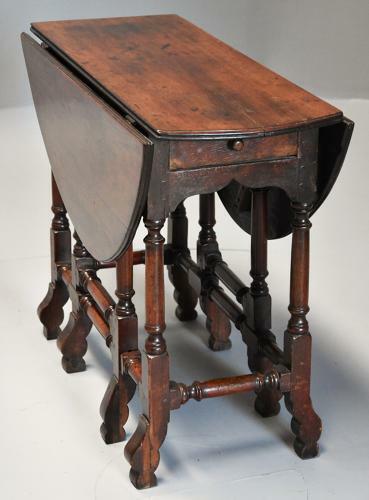 The legs are joined by turned stretchers and the table terminates with braganza style feet. This table is in very good condition for age with evidence of some old repairs, it is of stable construction and can go straight into a home.